An essential part of school board service is understanding how state and federal laws affect public education. From legal procedures and regulations to new legislation aimed at boosting student achievement, school-related law is constantly changing – and it is important for school board leaders to have the latest insights and information. 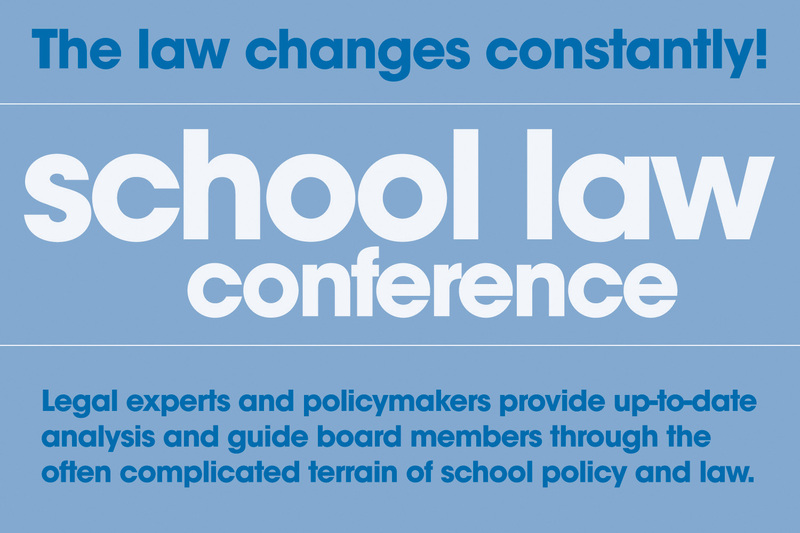 The SCSBA School Law Conference presents a slate of legal experts and policymakers who provide up-to-date analysis and guide board members through the often complicated terrain of school policy and law. Online registration for the School Law Conference is now open, click here to register. SCSBA’s hotel room block will open at 8:30 a.m. on May 29, 2019. You will not be able to make reservations prior to 8:30 a.m. on May 29. Additional reservation information coming soon. The SCSBA School Law Conference presents a slate of legal experts and policymakers who provide up-to-date analysis and guide board members through the often complicated terrain of school policy and law. 2014 handout: A View from Inside the Beltway – F. Negron, Jr.